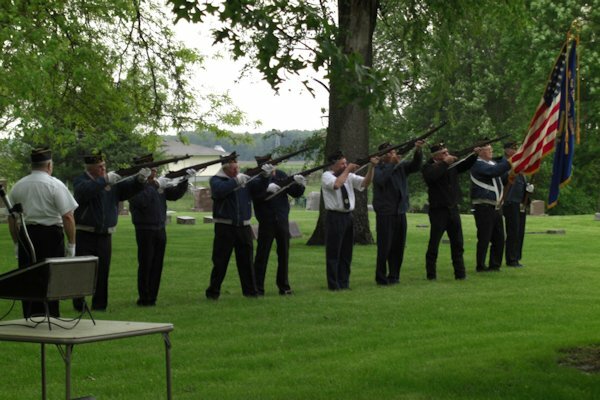 It was a cloudy and rainy day but folks still gathered at the Stronghurst Cemetery on Sunday, May 26th to pay their respects to the departed veterans who had served their country well. The American Legion Post #765 presented the colors and Curt Eisenmayer introduced the speaker of the day, Greg McClintock, (pictured above) who gave a prayer as well as a brief message. 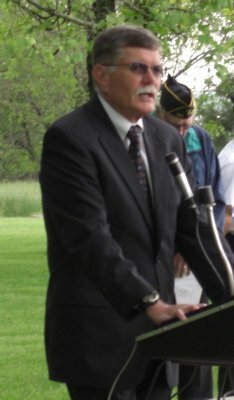 Eisenmayer read the names of veterans who are buried in the Stronghurst Cemetery, Watson Cemetery, Maple Grove Cemetery, Hopper Cemetery, Walnut Grove Cemetery, and the Olena Cemetery. 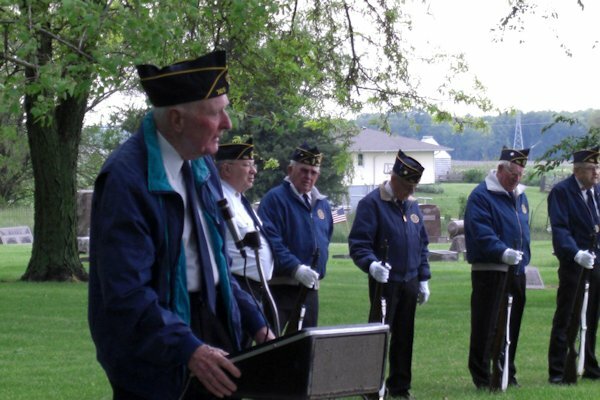 Curt Eisenmayer of the American Legion Post #765, introduced the speaker and read the names of veterans who were buried at Stronghurst and several area cemeteries.